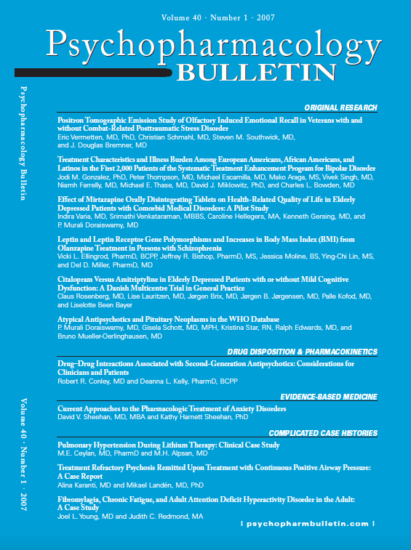 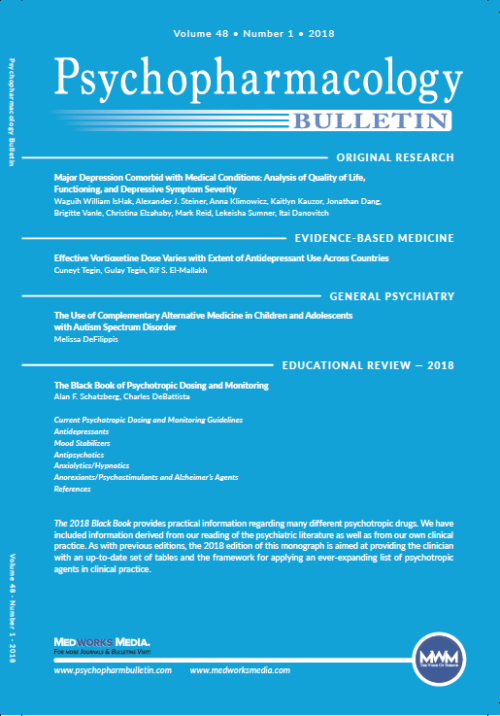 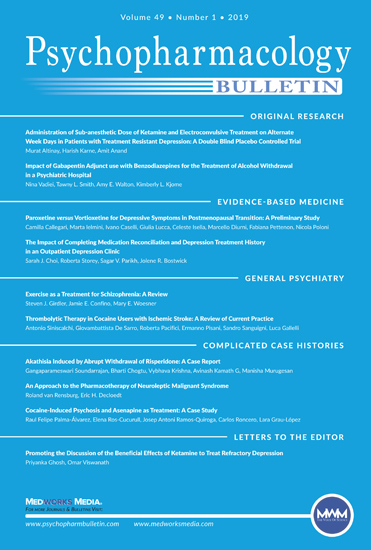 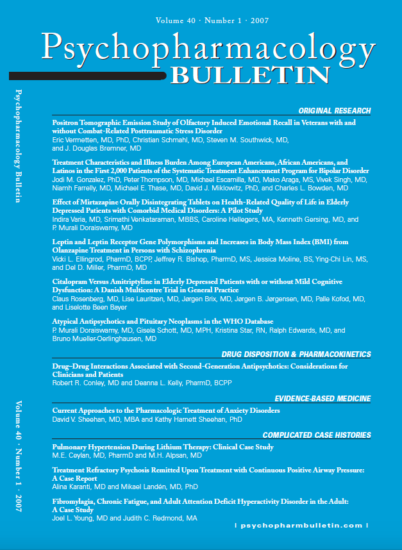 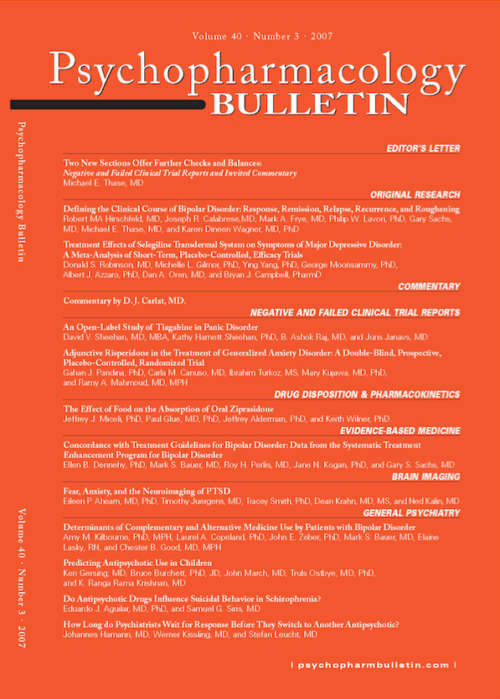 Psychopharmacology Bulletin is indexed in Index Medicus, EMBASE/Excerpta Medica, EBSCO, Psychological Abstracts, Current Contents, Science Citation Index, SCOPUS, and Biological Abstracts under Psychopharmacol Bull. 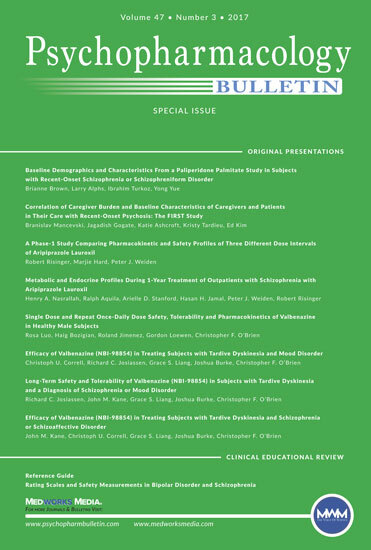 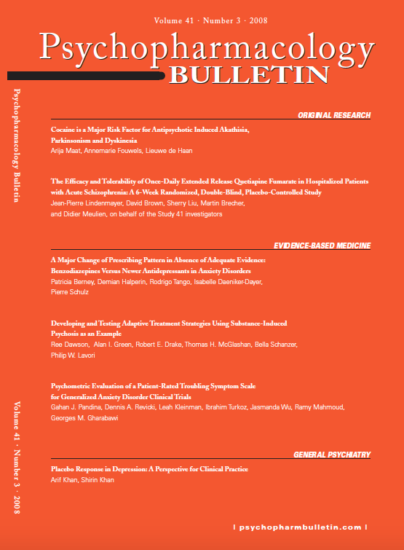 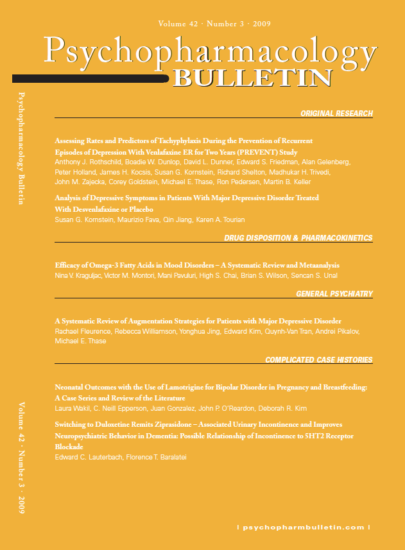 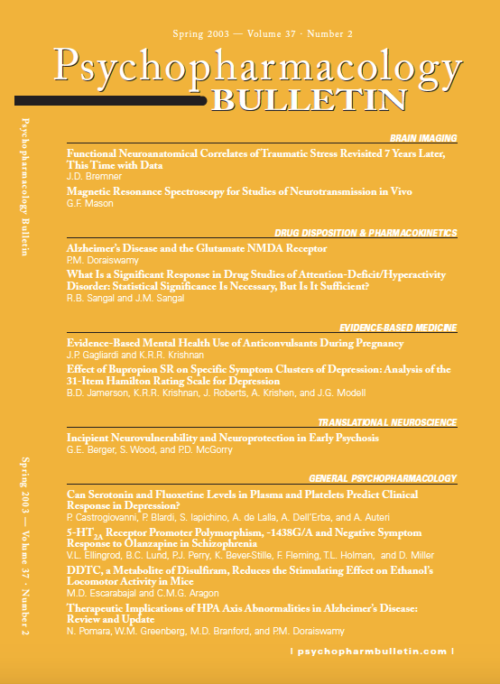 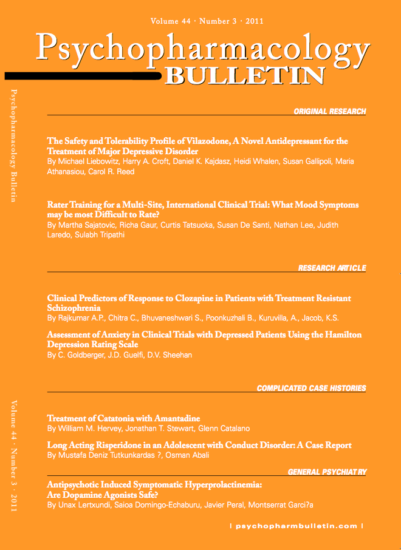 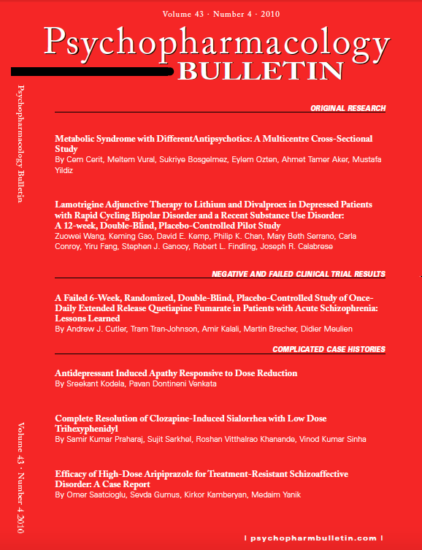 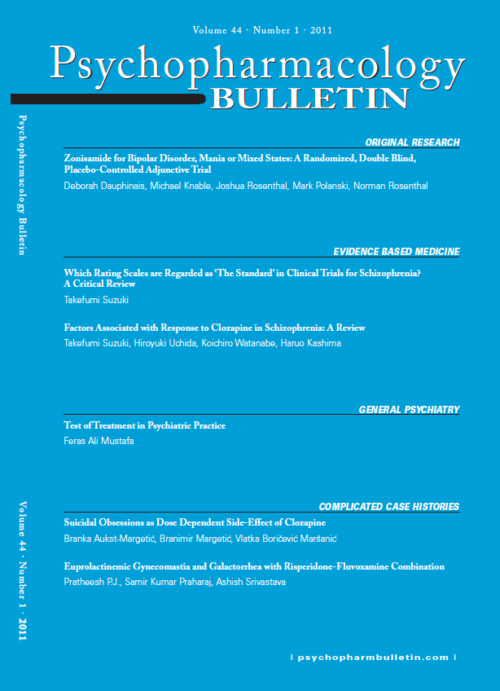 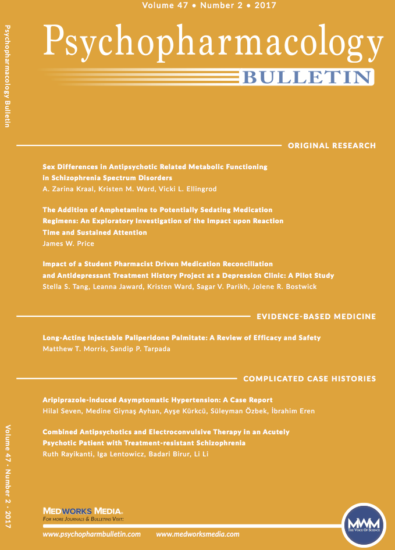 Bulletin is a peer-reviewed journal available only through subscription. 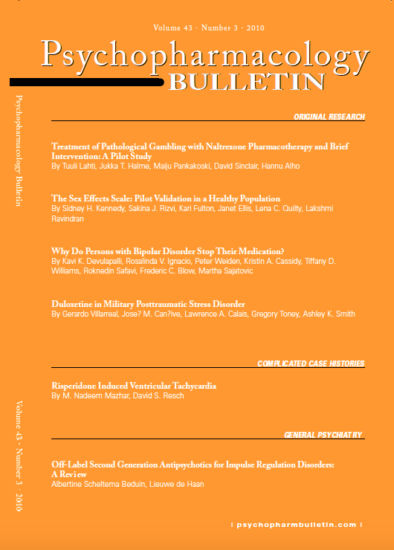 Permission to reproduce articles in whole or part must be obtained in writing from the publisher. 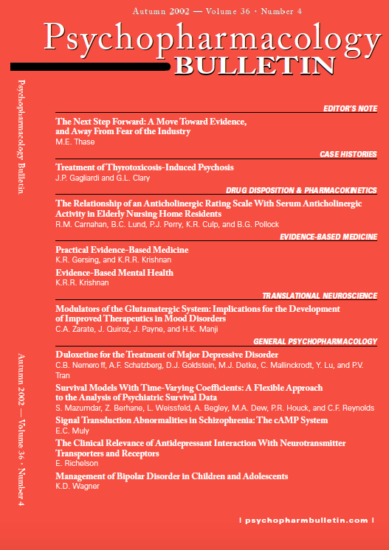 Authors can request a digital copy of their article gratis by emailing editorial@medworksmedia.com. 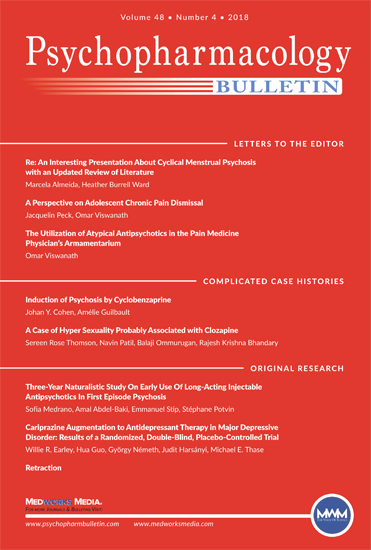 Please put “Author Request” in the subject line. 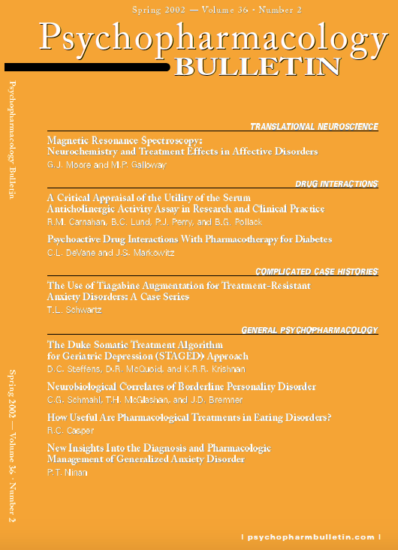 No third parties please. 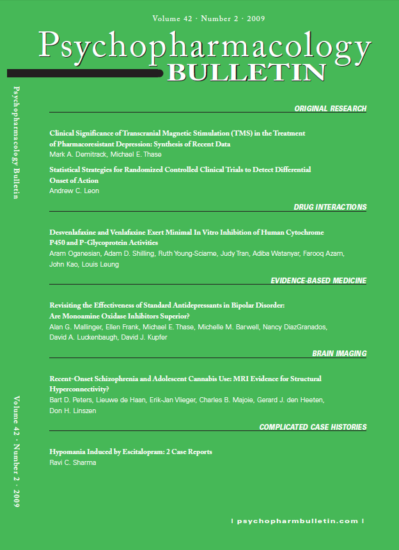 Advisory Board members in good standing can request any item in the database. 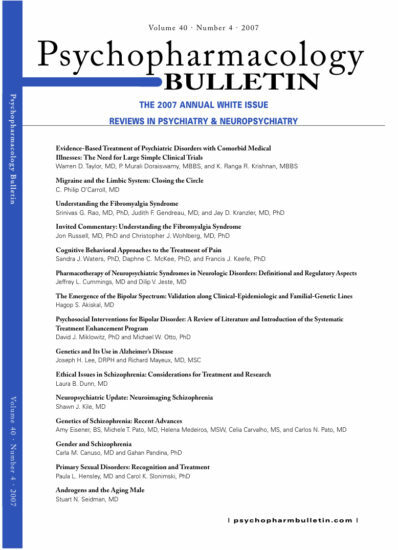 Please put “Advisory Board Request” in the subject line. 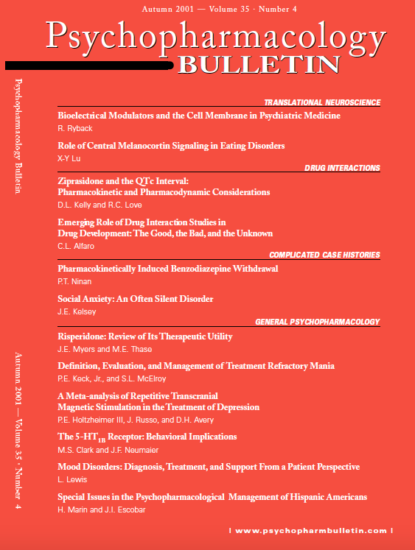 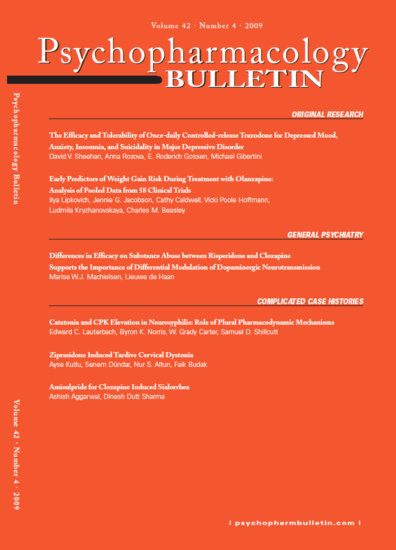 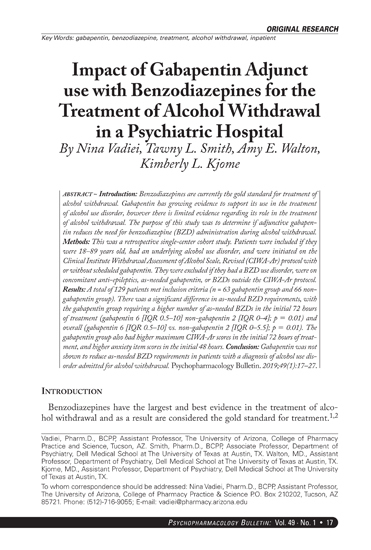 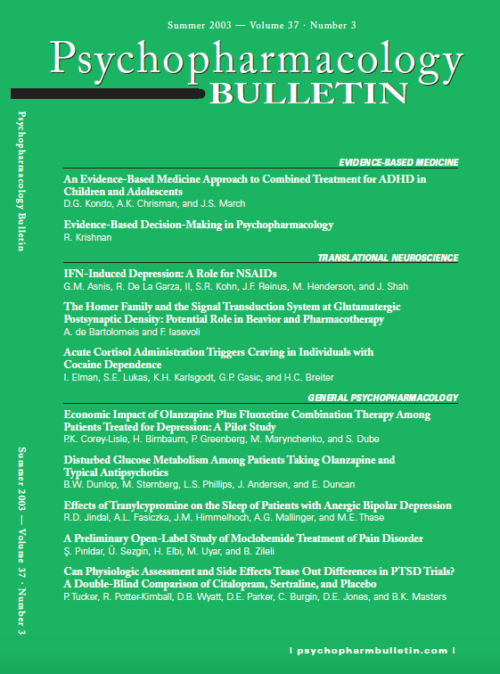 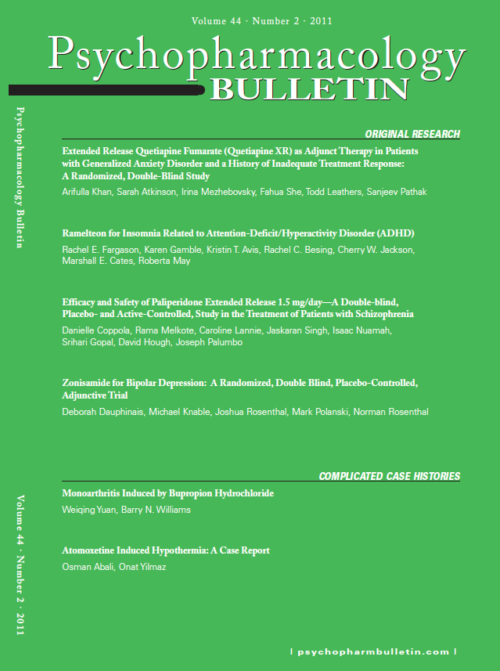 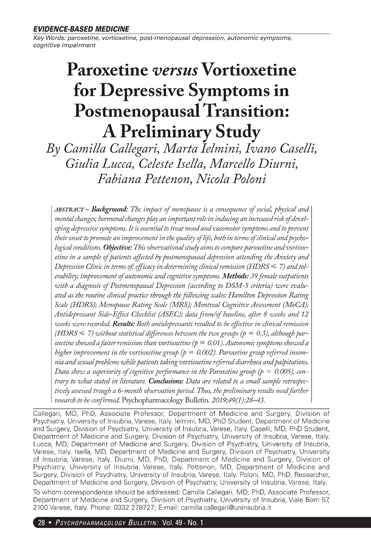 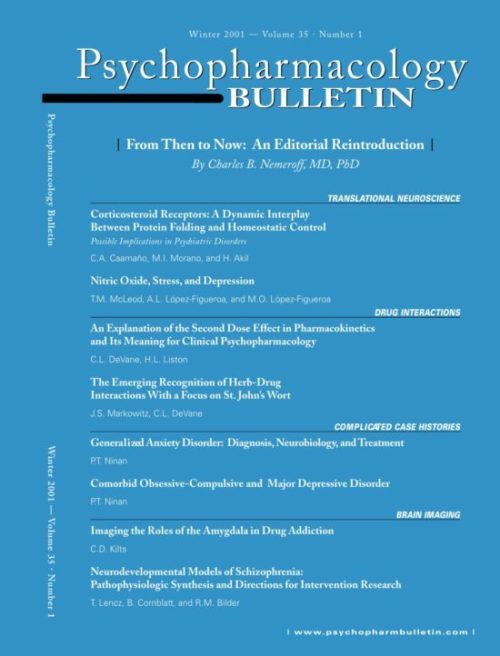 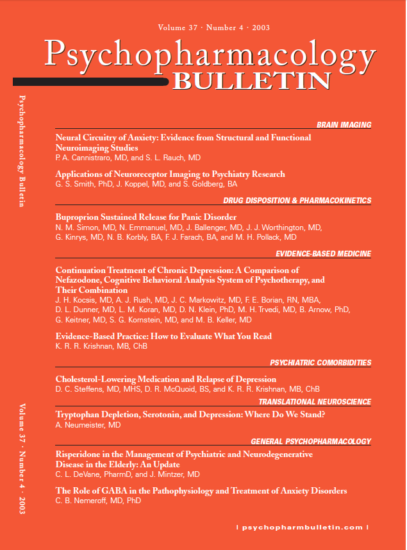 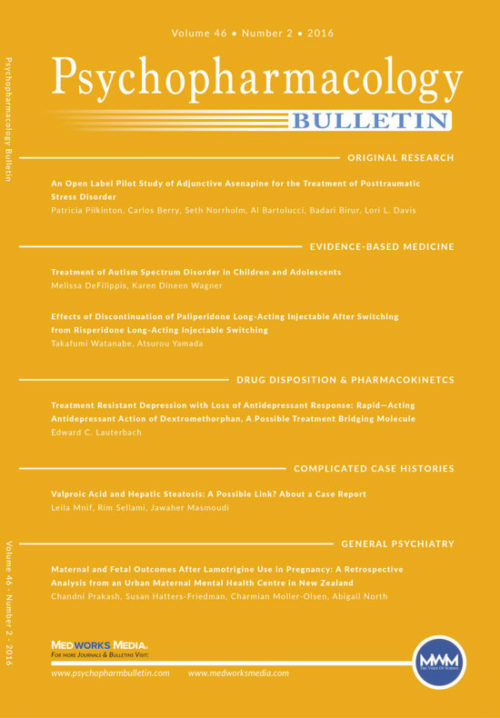 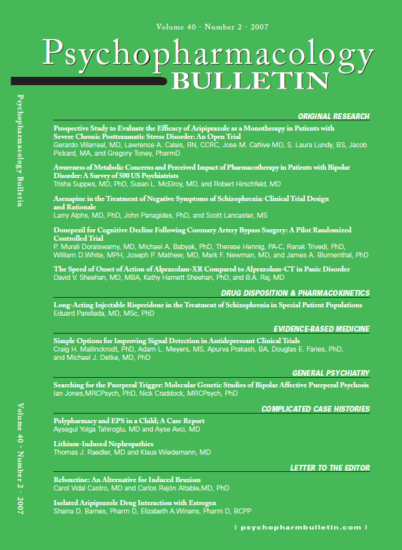 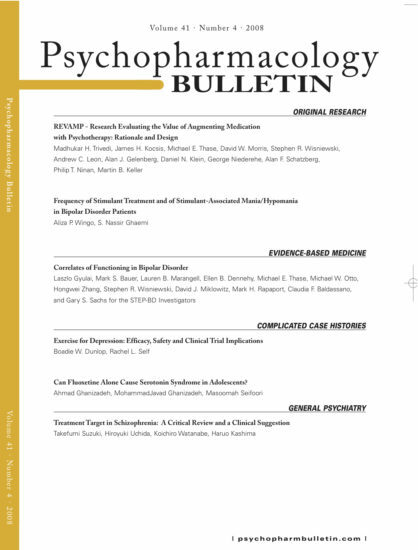 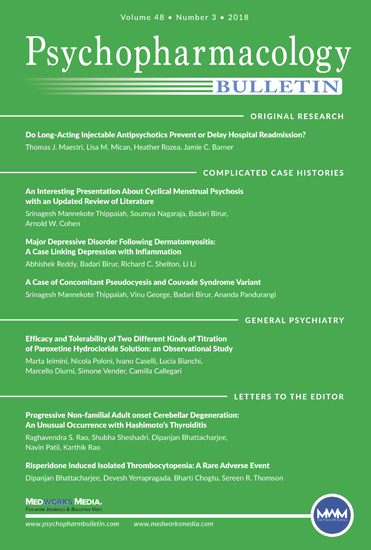 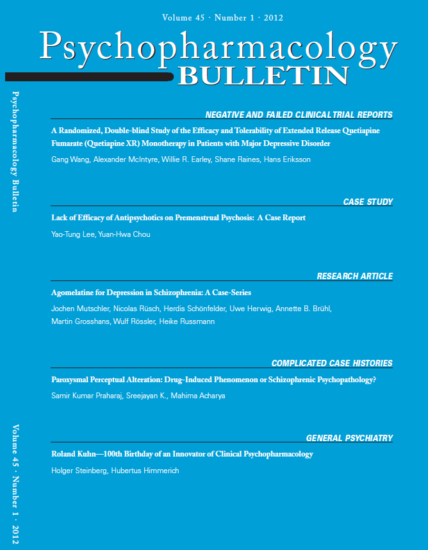 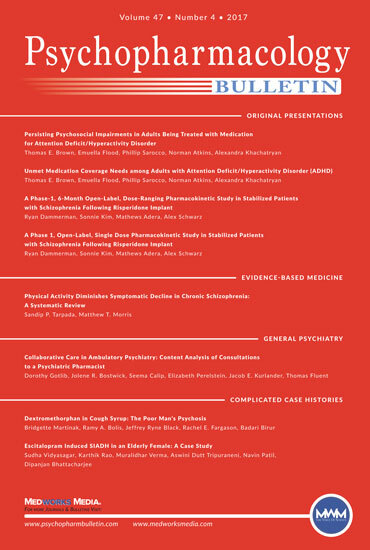 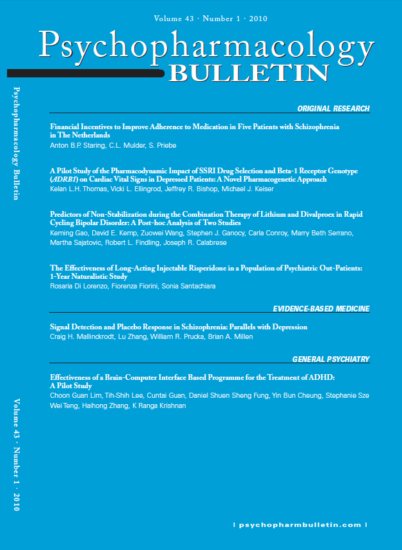 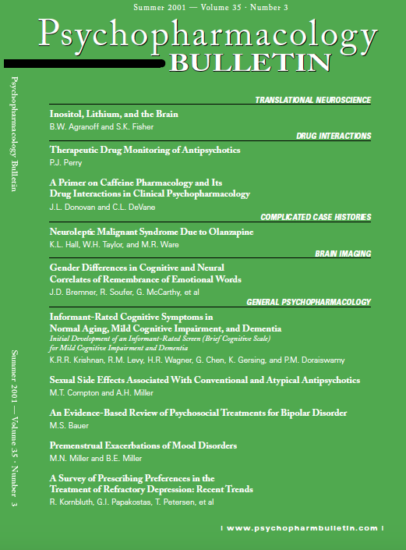 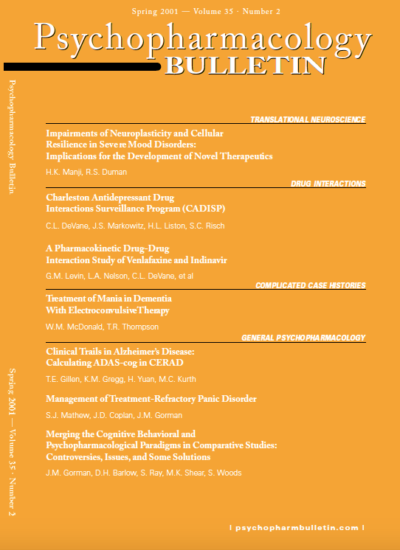 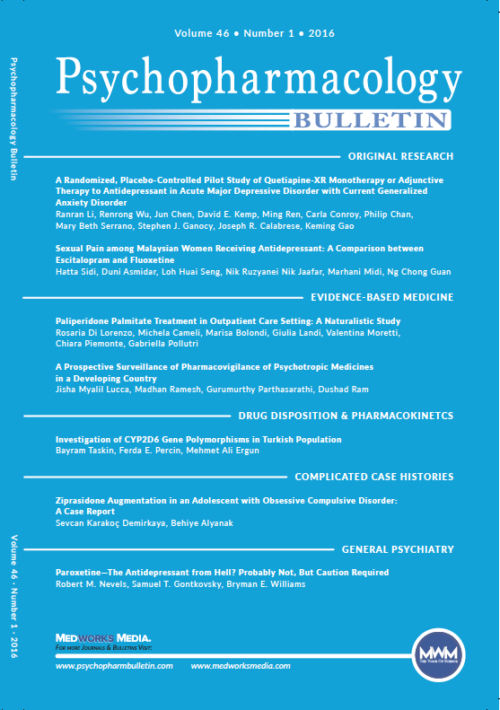 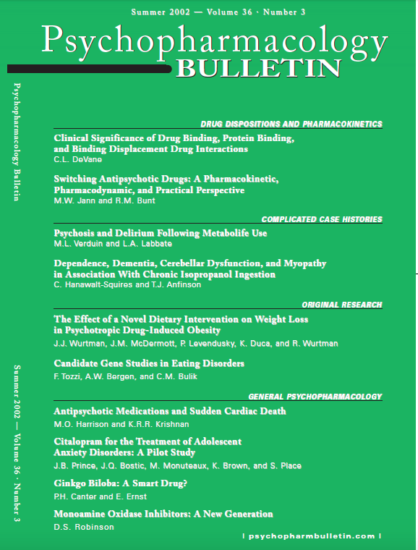 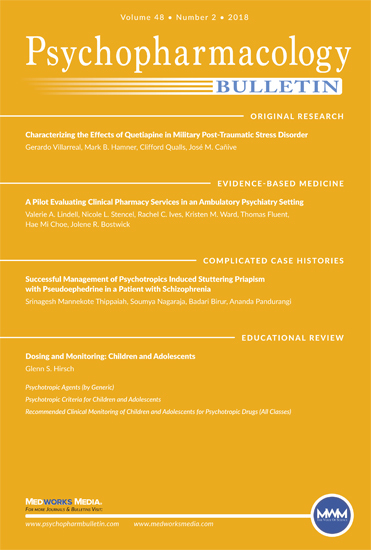 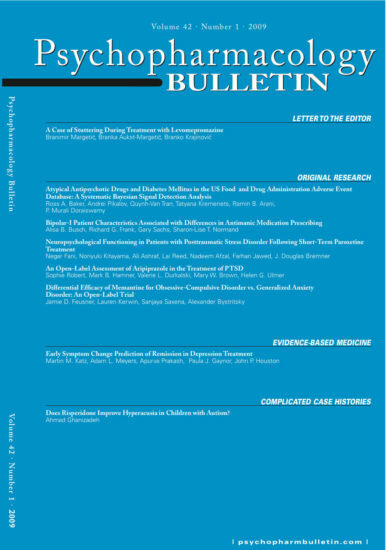 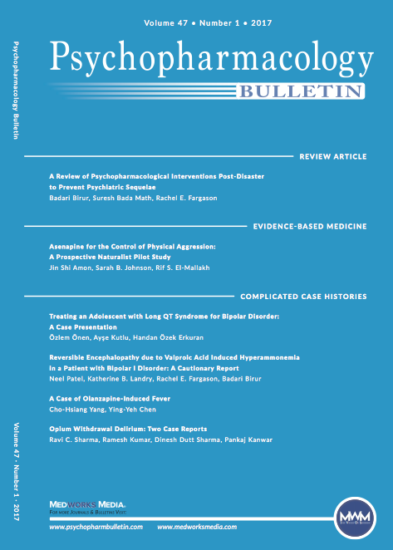 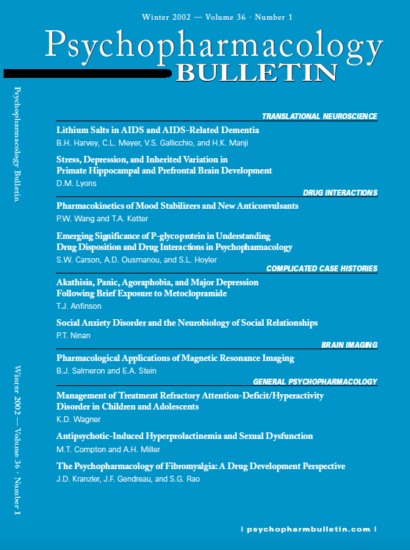 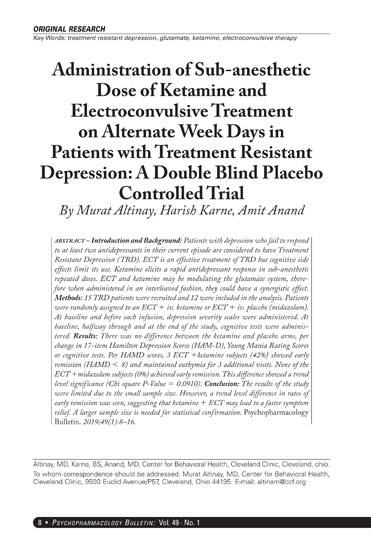 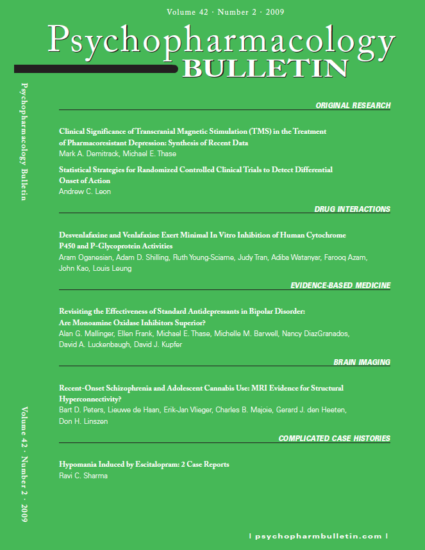 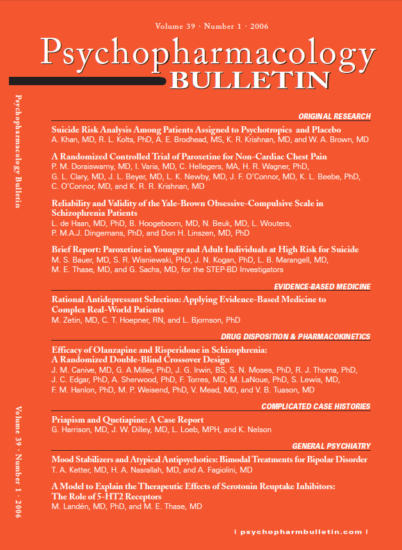 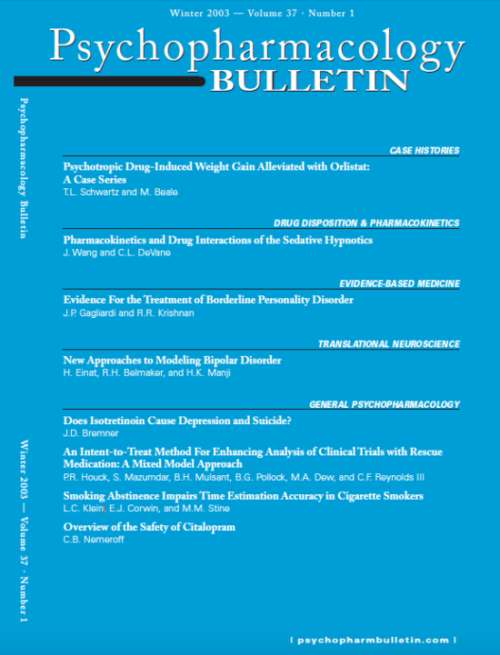 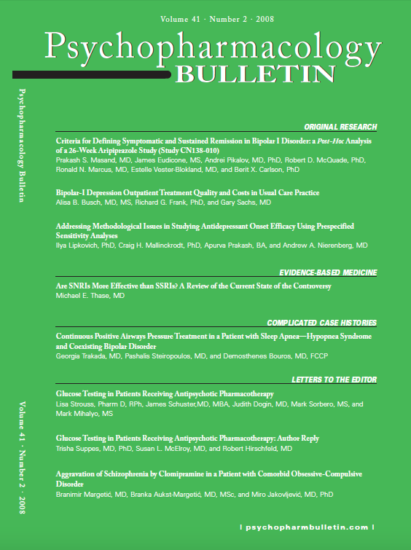 Please see Journal Supplement/Projects section for more issues of Psychopharmacology Bulletin. 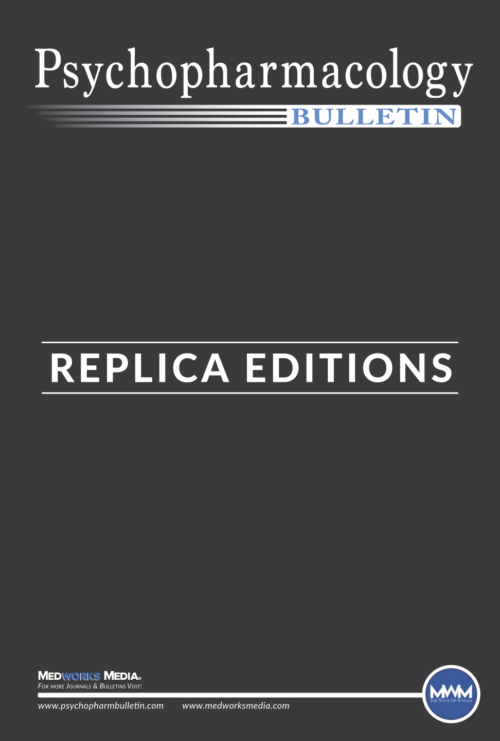 The Medworks Reprint Series can be found HERE.